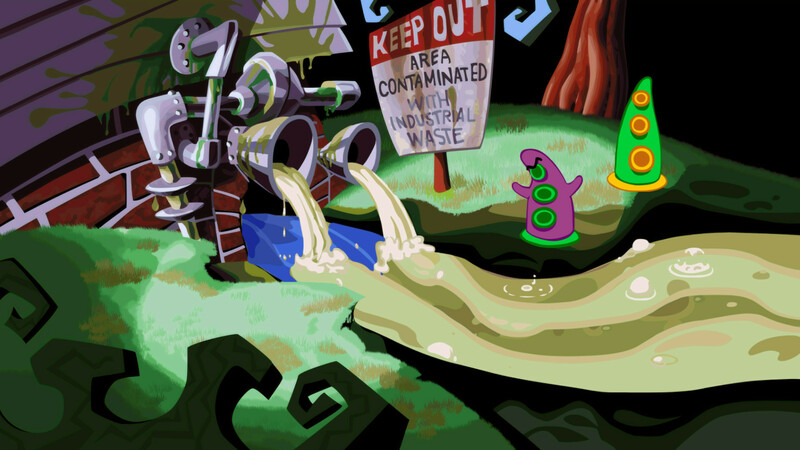 Day of the Tentacle follows the point-and-click two-dimensional adventure game formula, first established by the original Maniac Mansion. Players direct the controllable characters around the game world by clicking with the computer mouse. To interact with the game world, players choose from a set of commands arrayed on the screen and then on an object in the world. 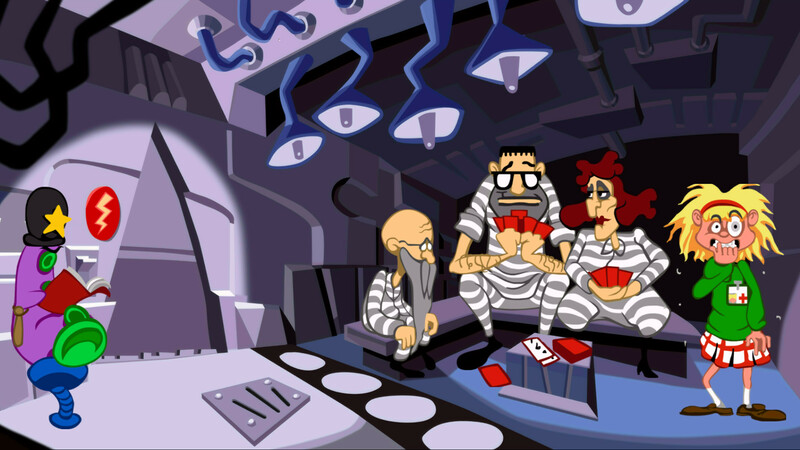 This was the last SCUMM game to use the original interface of having the bottom of the screen being taken up by a verb selection and inventory; starting with the next game to use the SCUMM engine, Sam and Max Hit the Road, the engine was modified to scroll through a more concise list of verbs with the right mouse button and having the inventory on a separate screen. 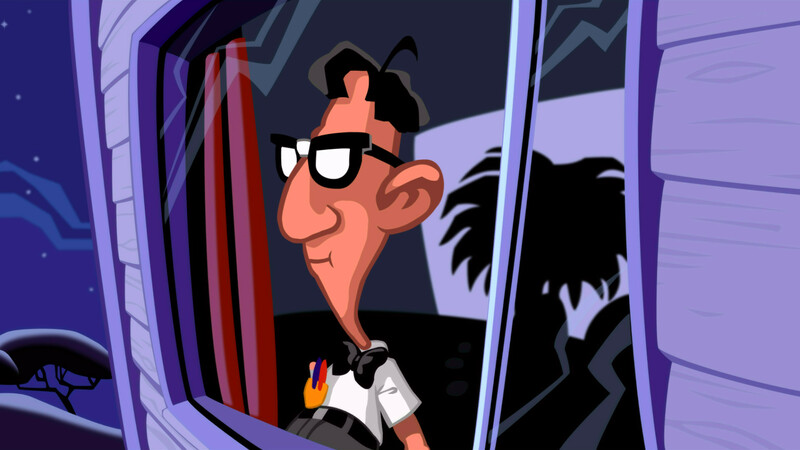 This formula carried on to later games in the franchise, such as The Dig, Full Throttle and The Curse of Monkey Island.